AcousticSampleS B-5 V2 Review – Virtual Tonewheel Organ Done Right! There was a good deal of hum and buzz on the wires when AcousticSampleS initially released their hybrid virtual Hammond organ library, “B-5”. It was based entirely on digital samples, but with the addition of modeling technology. I must admit, it was pretty good. However, there was some room for improvement. It boasted big, fat, warm low end, but just couldn’t seem to reproduce the searing upper presence that tonewheel organs are capable of projecting. The Leslie emulation was good, but it lacked realism and there were some quirks that never really got ironed out properly. I’m more than a little excited to announce that these failings are nowhere to be heard or seen in version 2. This redux sounds, plays, and operates extremely well (dare I say near perfectly?). The Leslie (rotating) cabinet emulation is very impressive. Microphone positioning and room size virtualization are superb here. Tonal balance and faithful, authentic-sounding tonewheel character are exploited to the fullest. B-5 V2 normally lists for €99, but AcousticSampleS generously provide it au gratis as a FREE upgrade for those whom had already purchased the original version. * At the time of this publication, B-5 V2 is available for a short time at only €69! PrecisionSound Gospel Drawbars Review – The Patriarch Hammond! 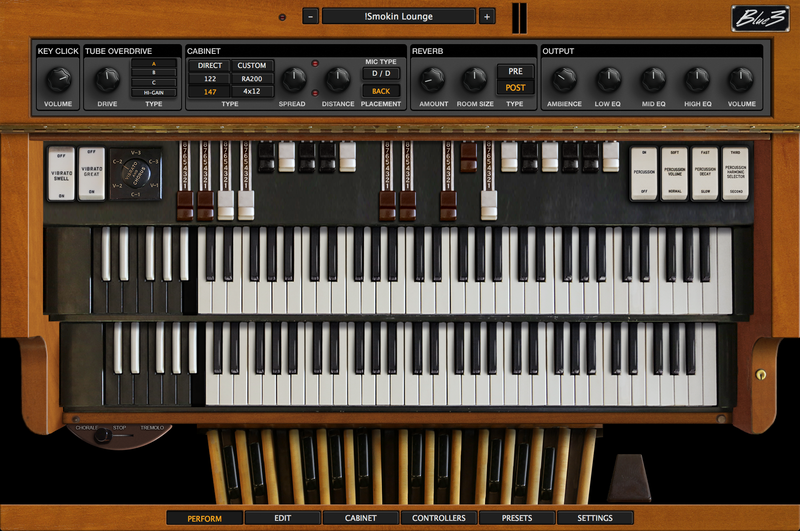 There have been a few notable Hammond organ sample libraries and VIs (Virtual Instruments) released over the past 10 years. Some of these made us sit up and keenly take notice, whilst others were greeted with yawns of disinterest. I’m excited to present this latest offering from Sweden’s masters of sampling, PrecisionSound – the amazing “Gospel Drawbars”. This ear-tickling sample-set is available in both NI Kontakt and Logic EXS24 formats. PrecisionSound have been outputting respectable sample sets, in various formats, since 2003 and with each new release, it is obvious that they are honing and refining their sampling processes. When I first loaded this 1 GB sample set into Kontakt 5, I knew immediately that it wasn’t yet another ‘so so’ virtual Hammond wannabe. The depth and richness of ‘believable’ tonewheel sound must be experienced to be understood. Gospel Drawbars is NOT another B3 sample library; this one is a meticulously-recorded 24 bit/44.1khz digital sample-set of a rare, well-functioning Hammond AB organ (circa 1937). The AB was Hammond’s 2nd offering, and is the direct ancestor of the B3/C3 line. This sample-set is absolutely soaking wet with vibe, character, and vintage-sounding charm. It’s almost too good to be true; the most unique Hammond organ sounds to have ever been heard “in the box” for only $69.